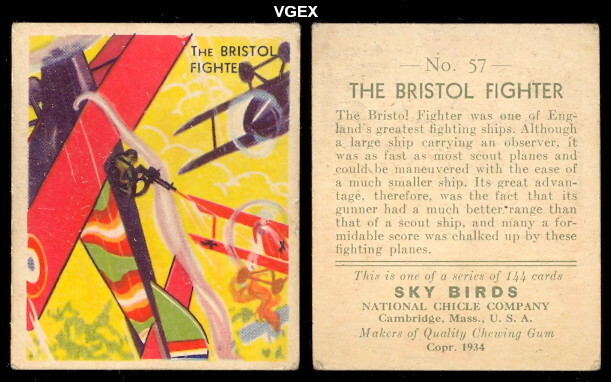 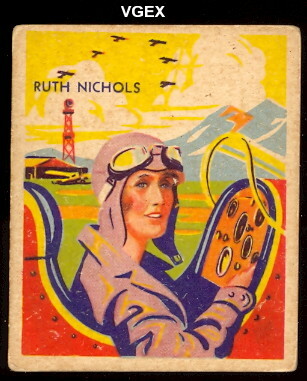 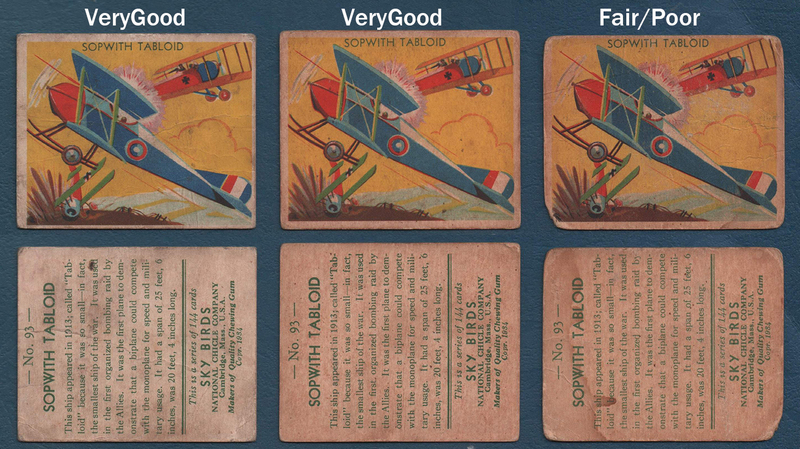 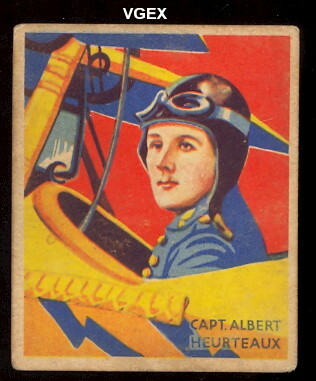 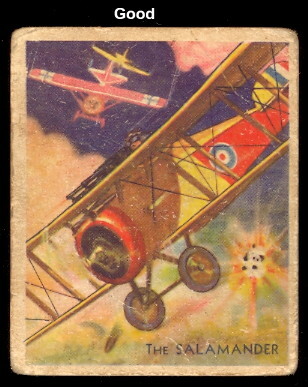 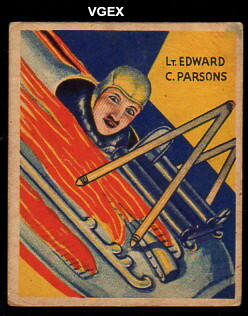 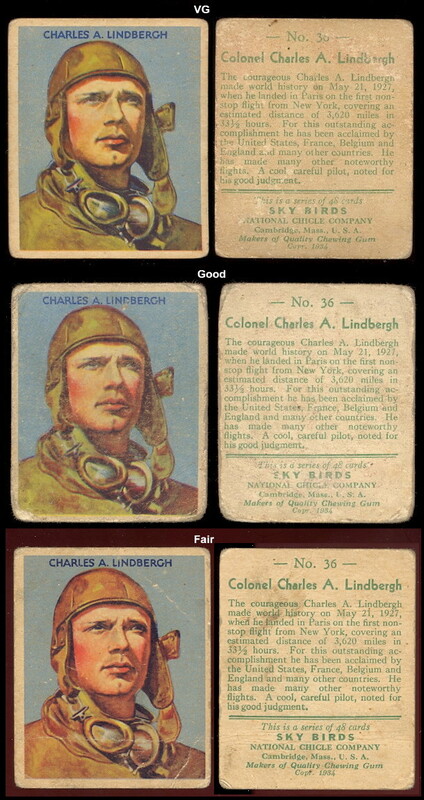 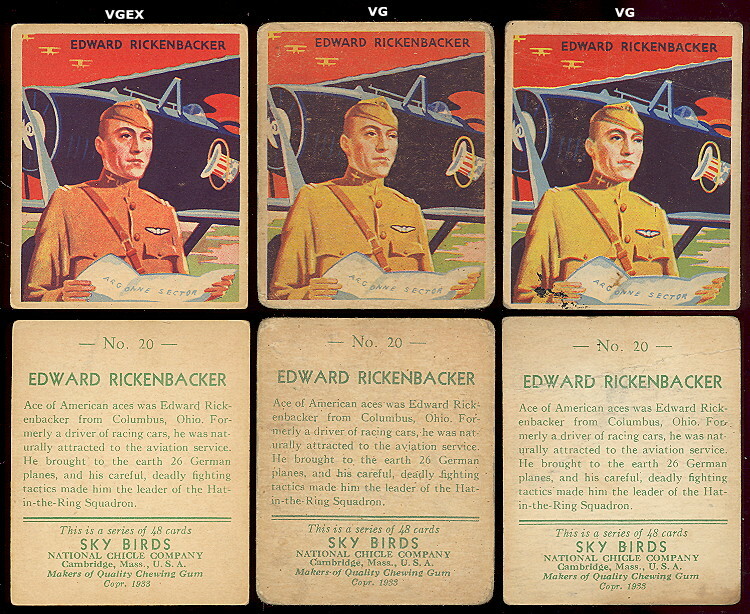 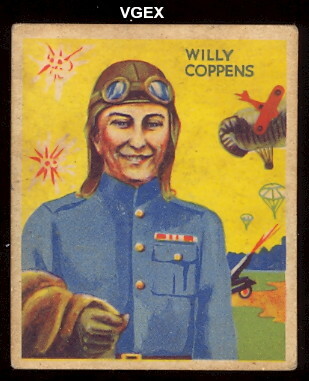 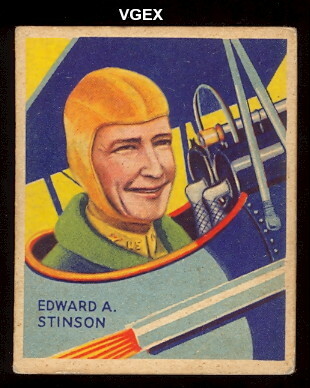 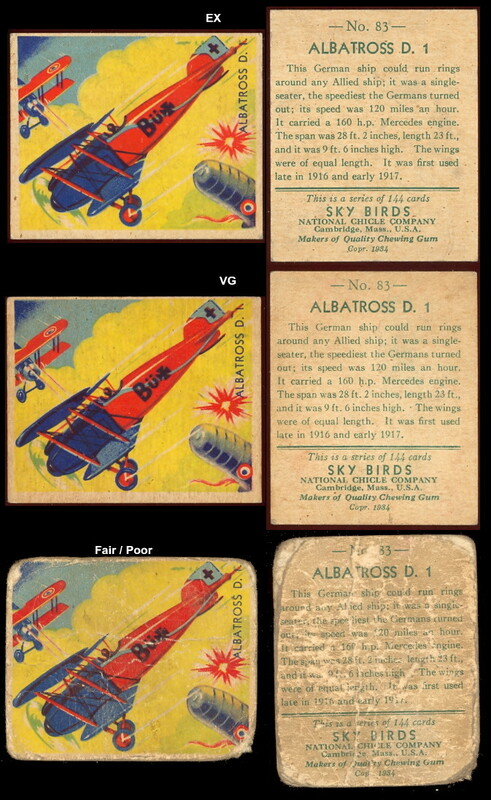 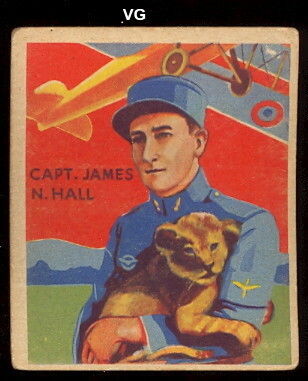 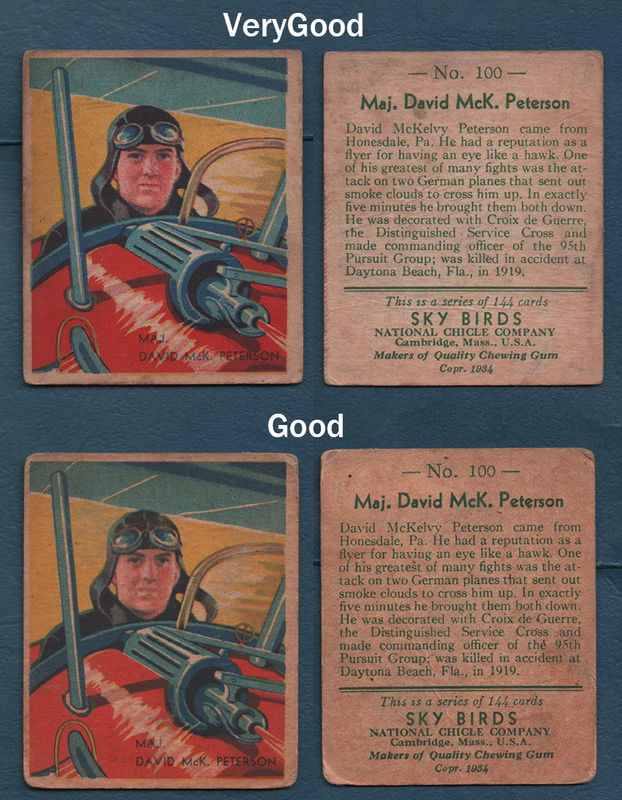 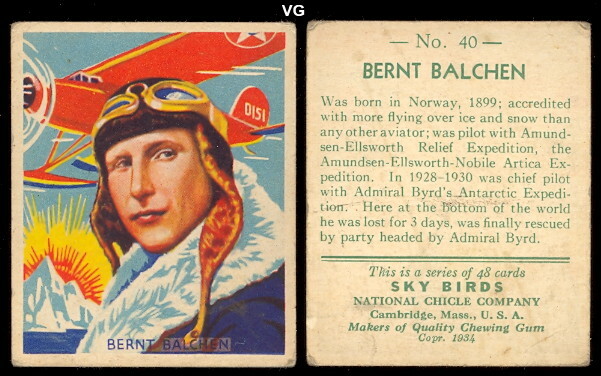 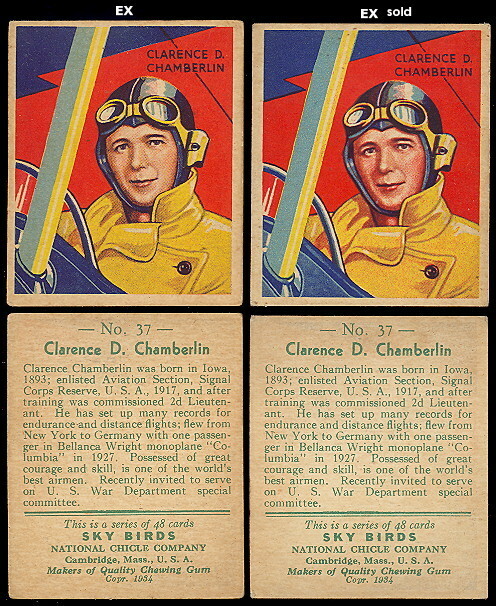 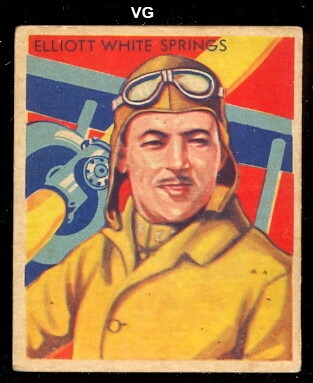 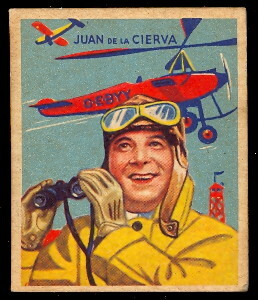 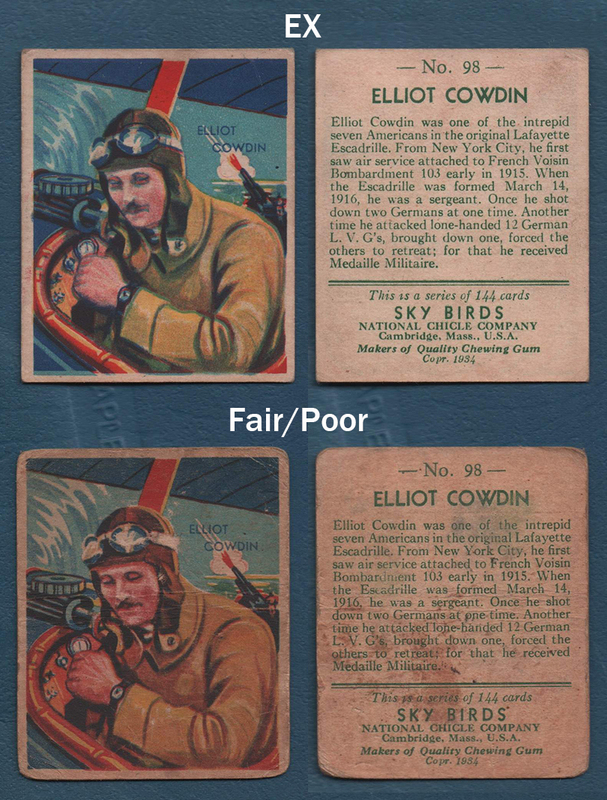 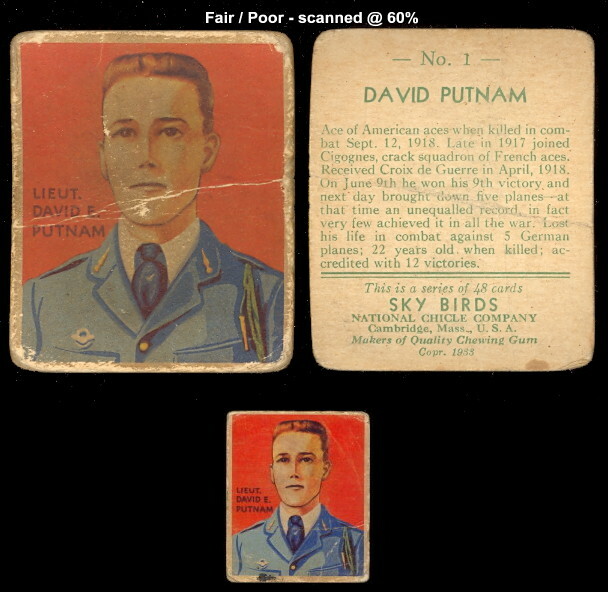 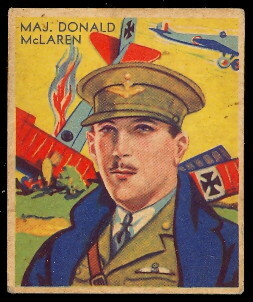 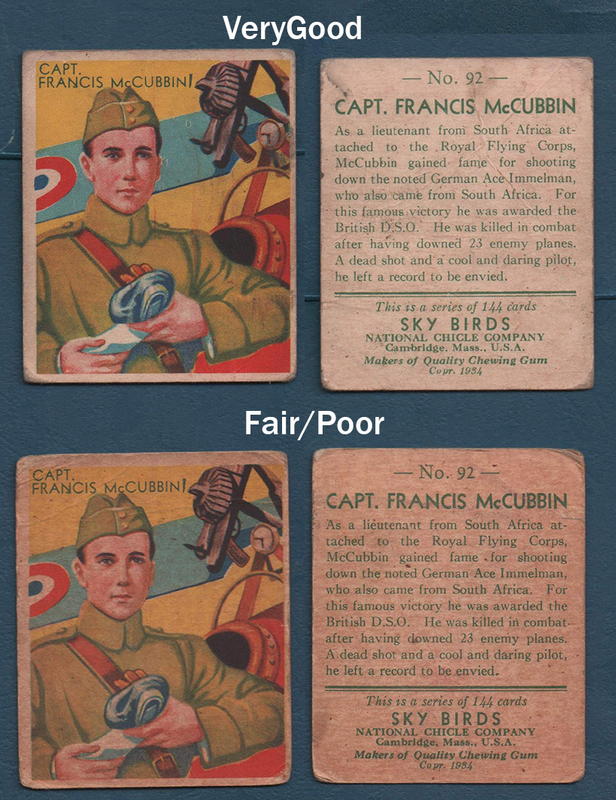 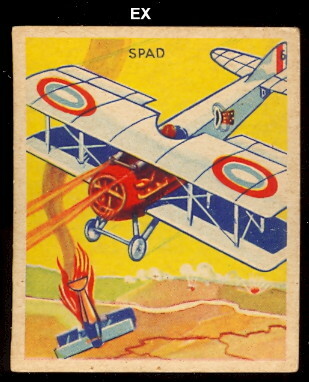 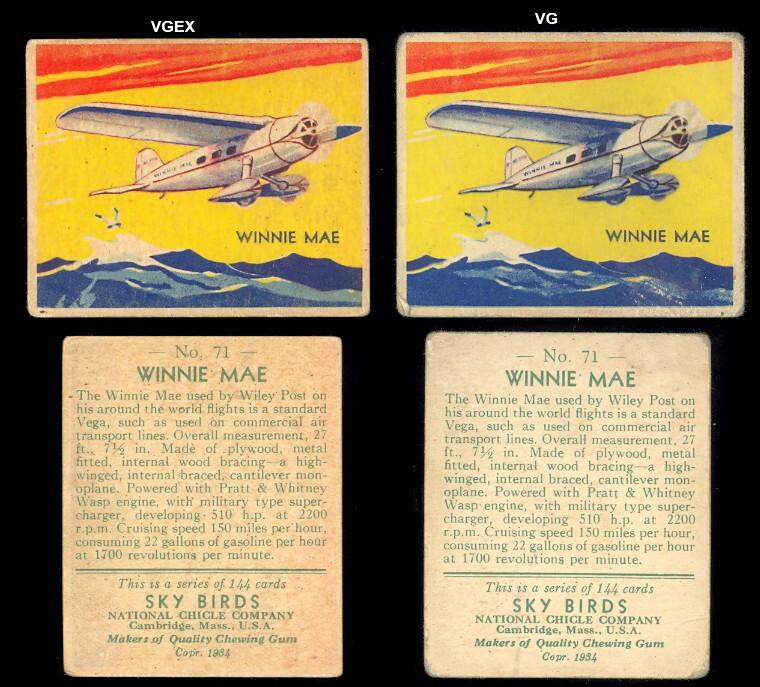 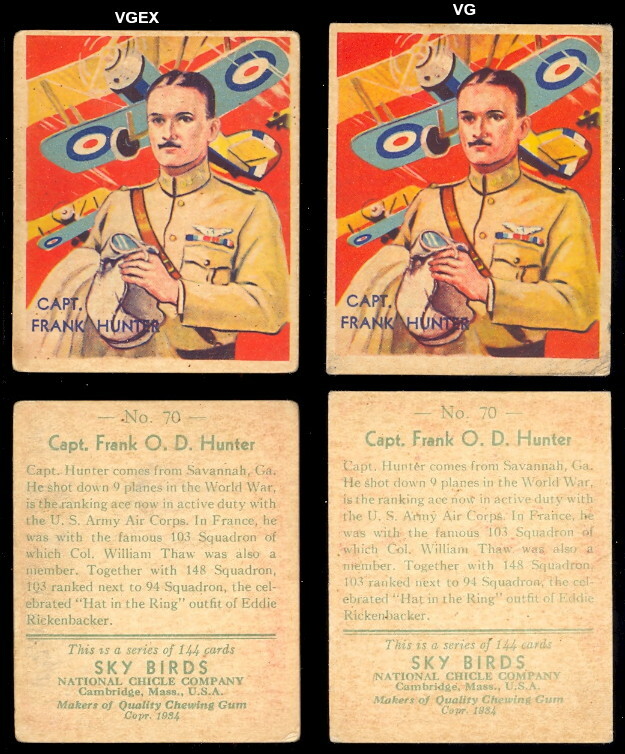 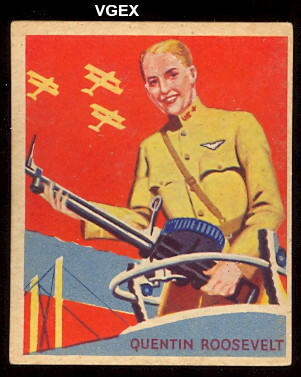 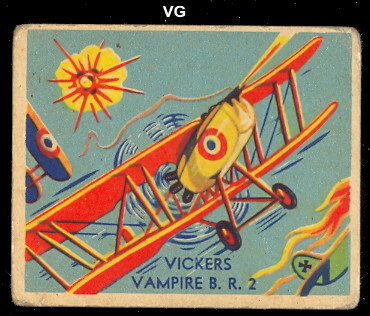 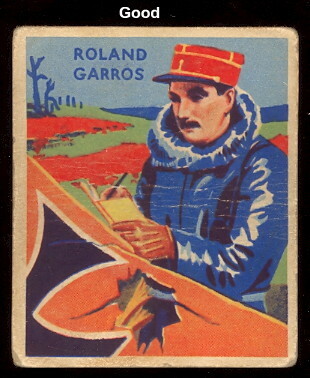 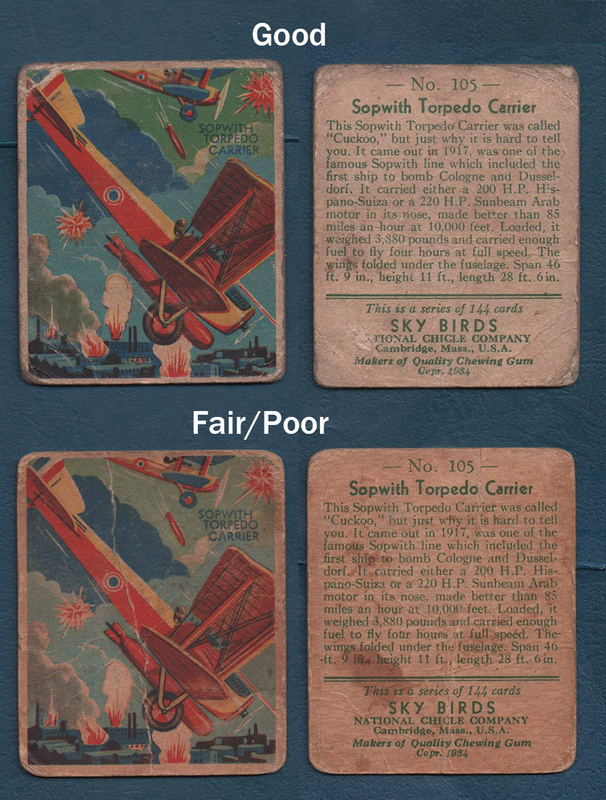 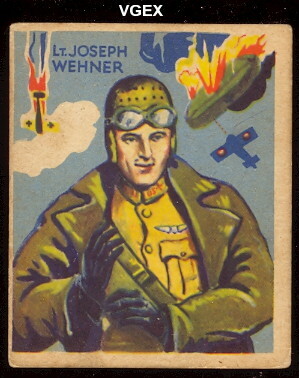 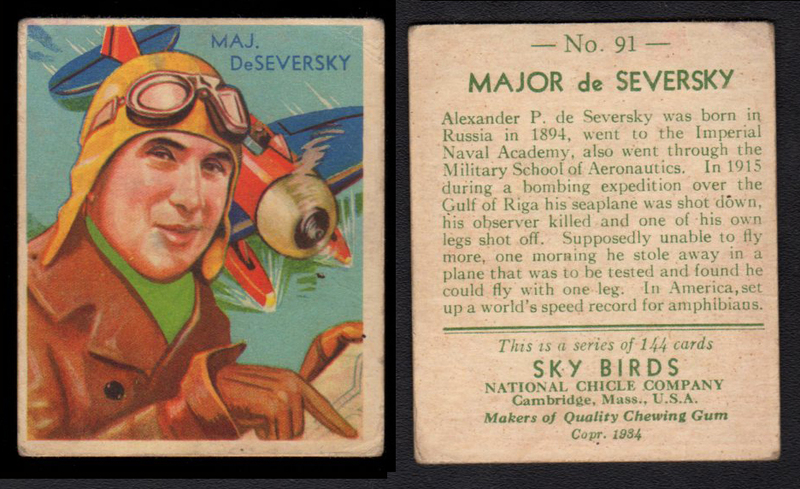 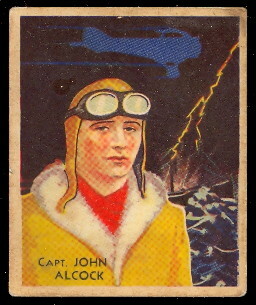 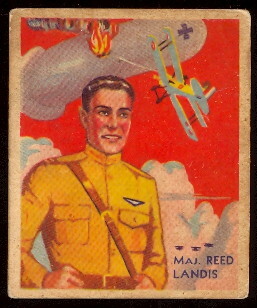 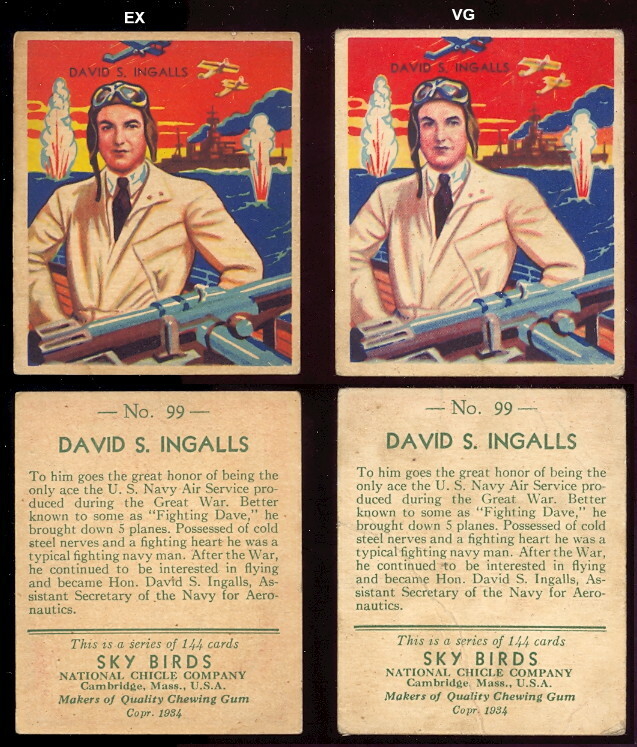 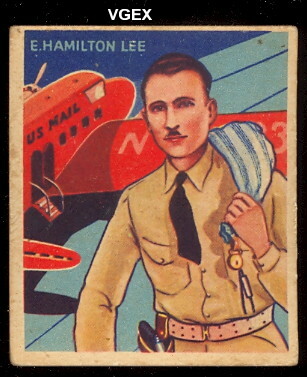 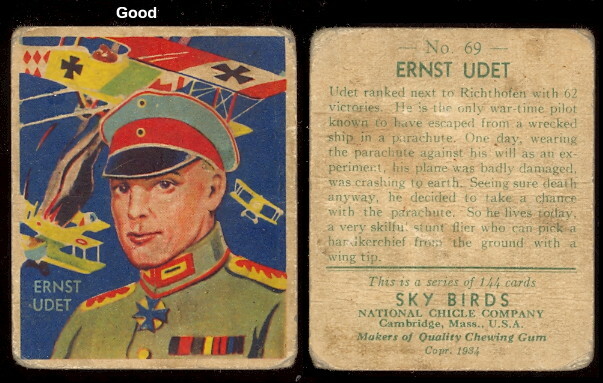 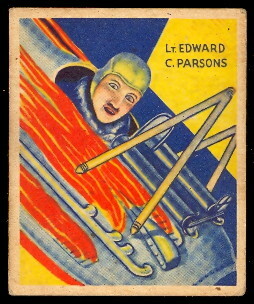 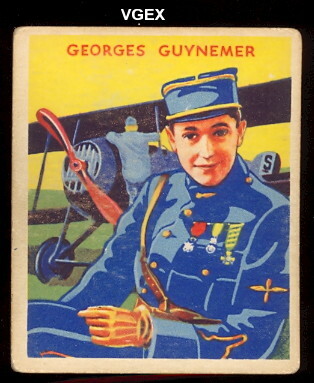 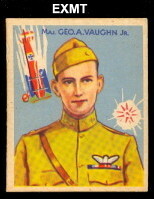 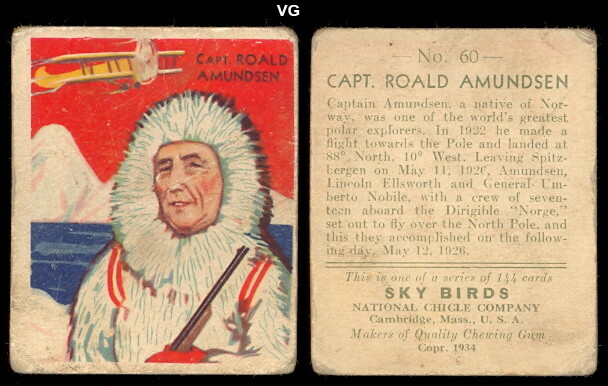 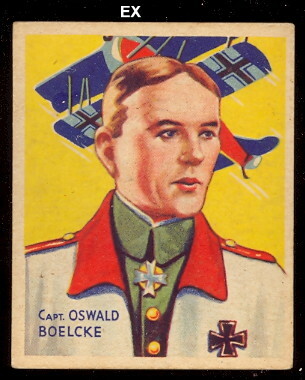 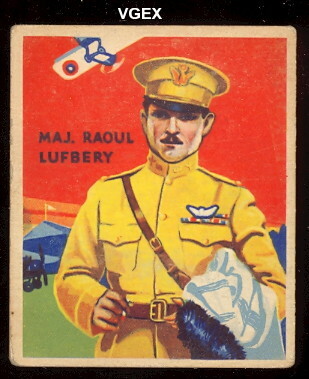 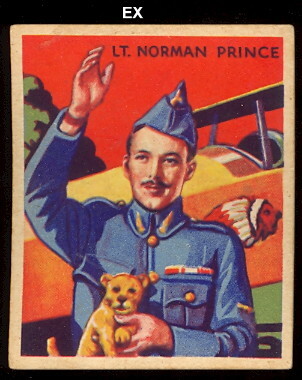 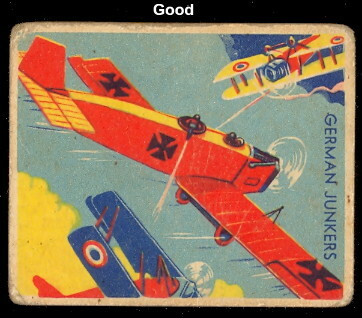 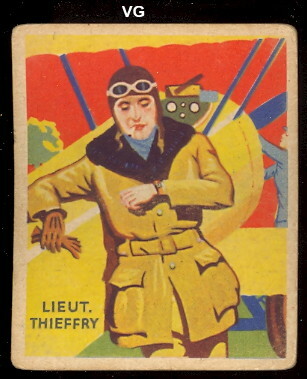 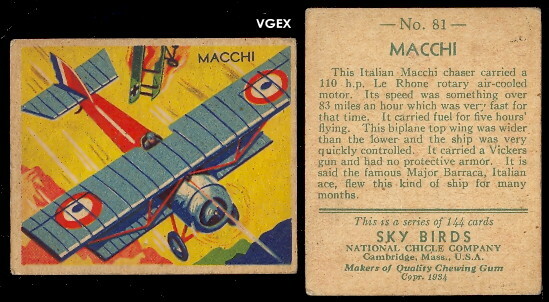 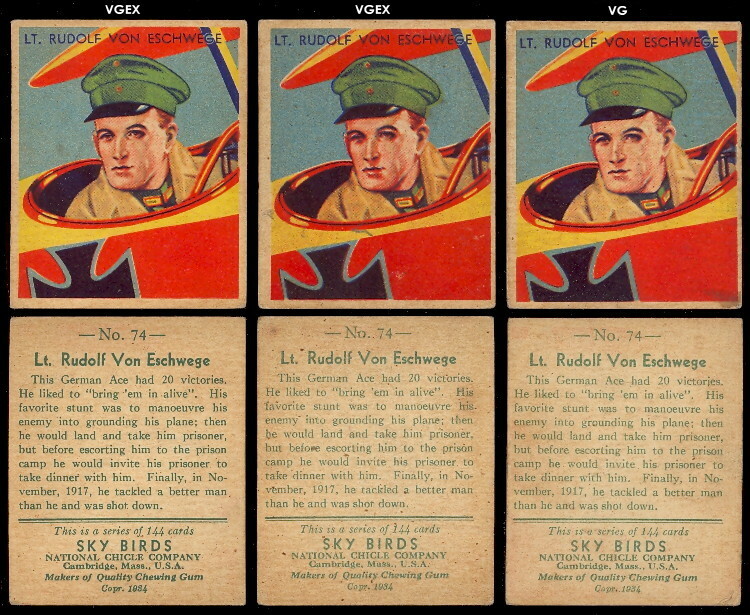 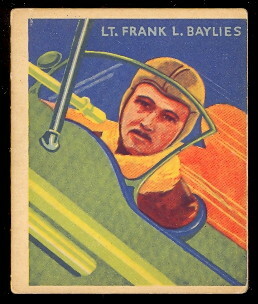 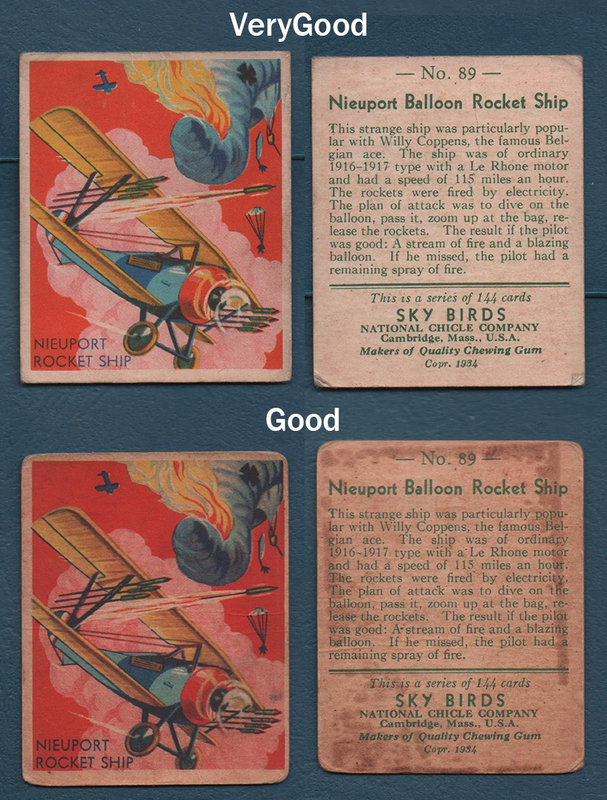 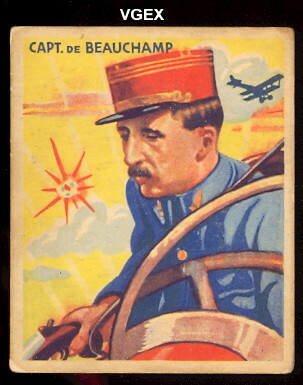 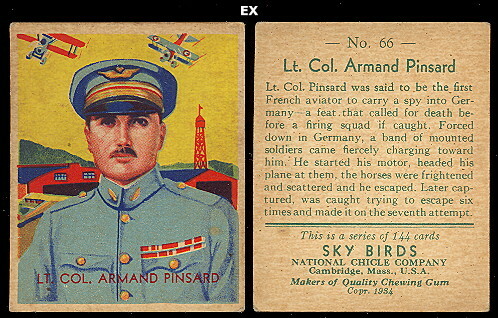 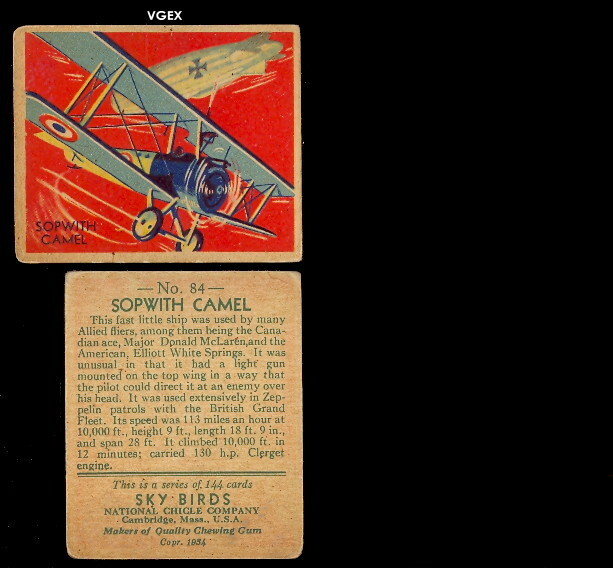 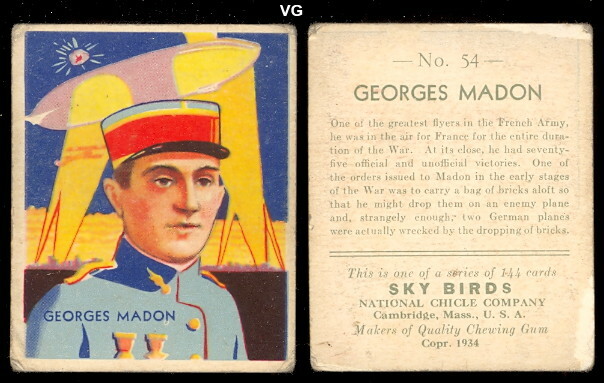 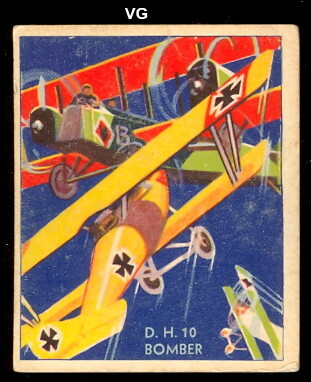 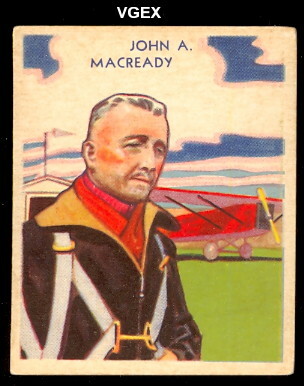 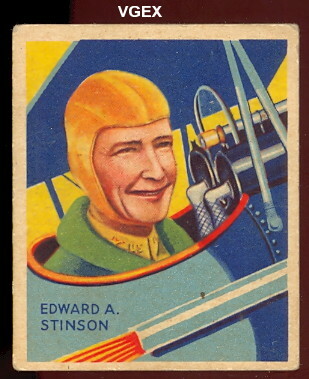 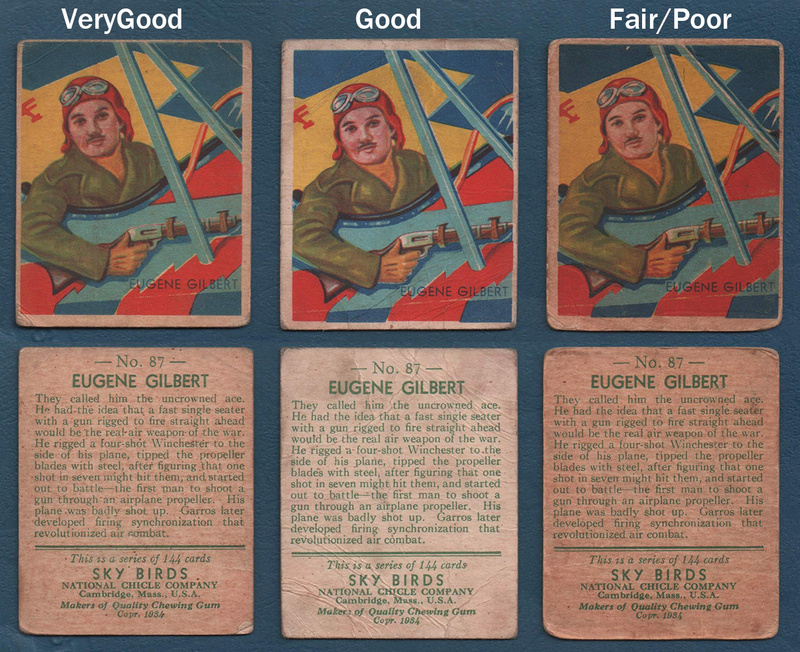 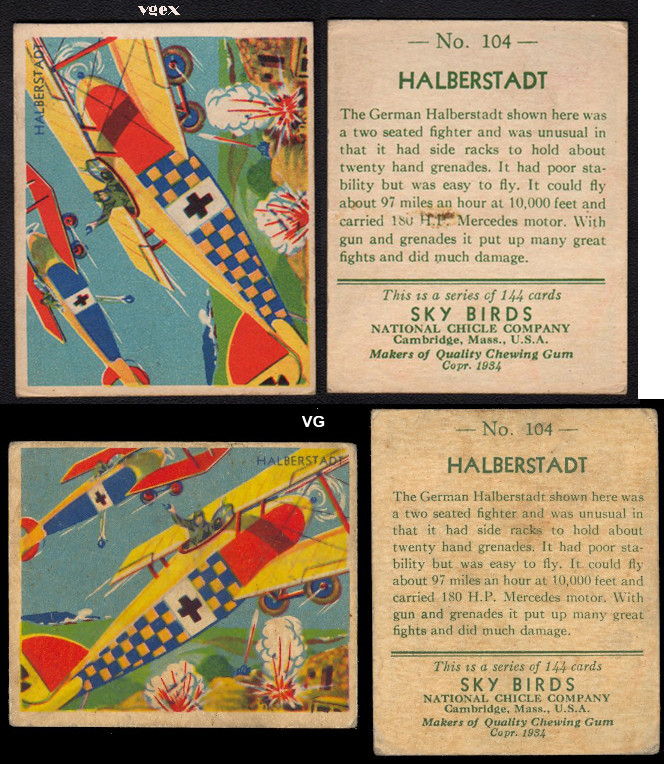 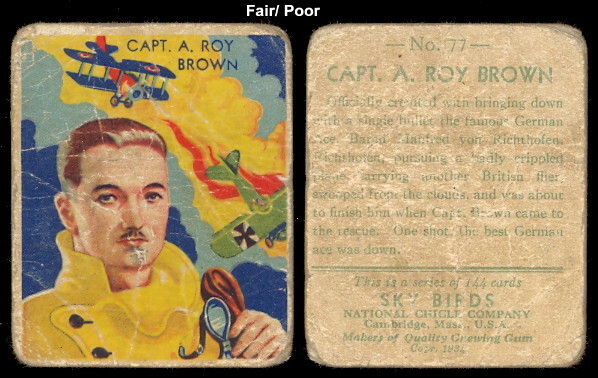 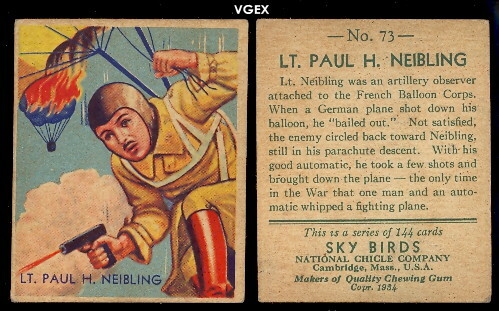 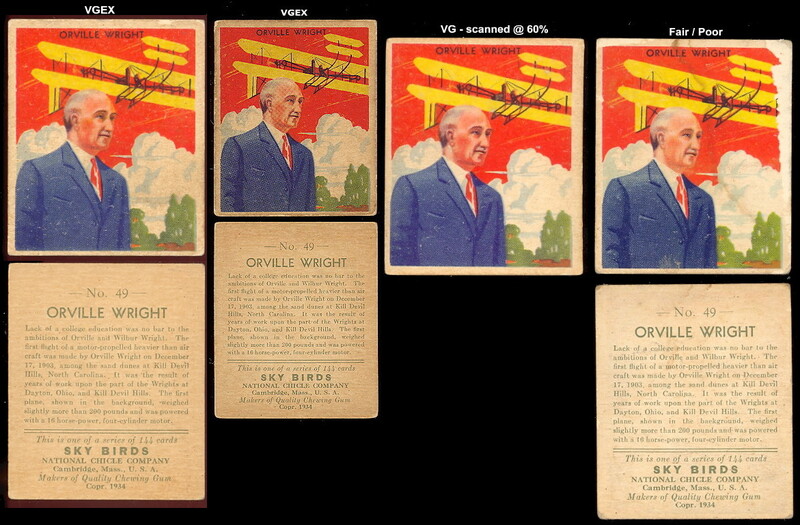 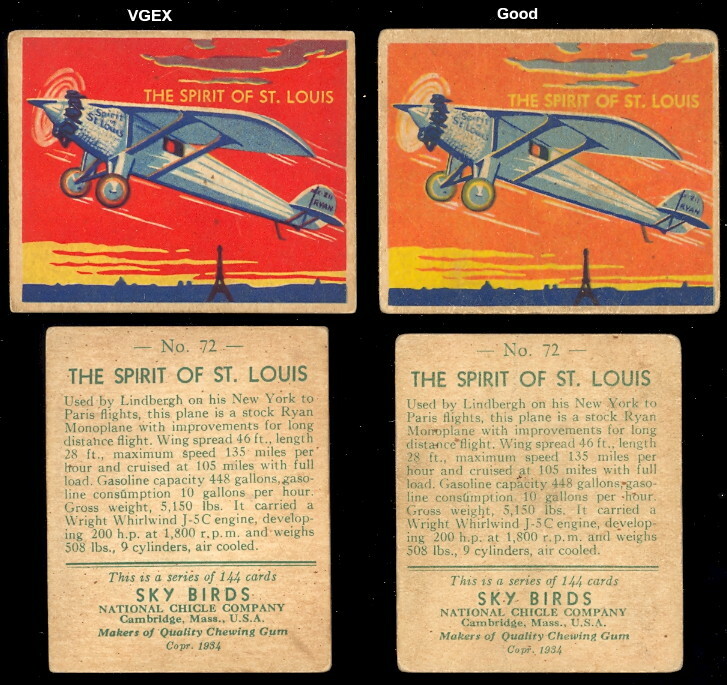 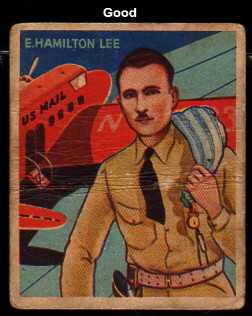 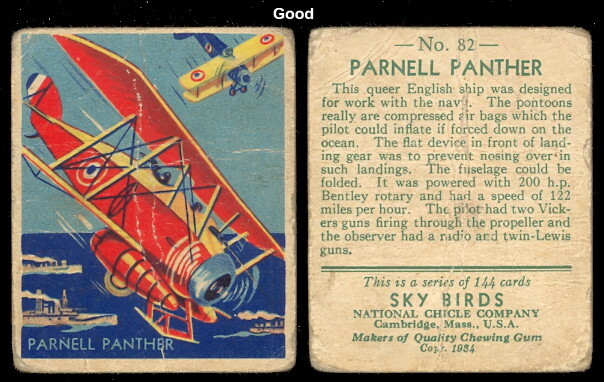 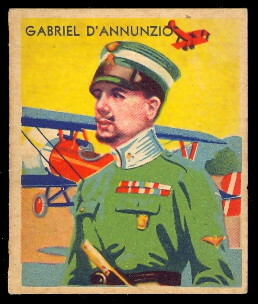 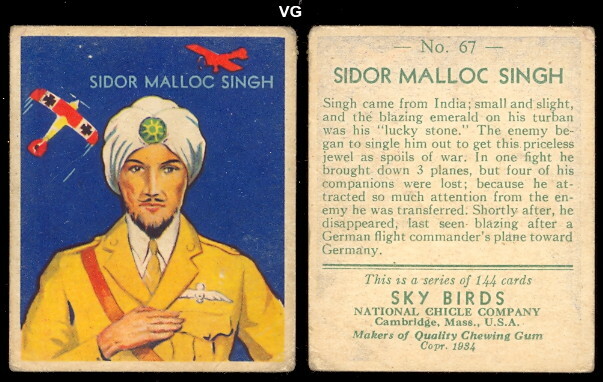 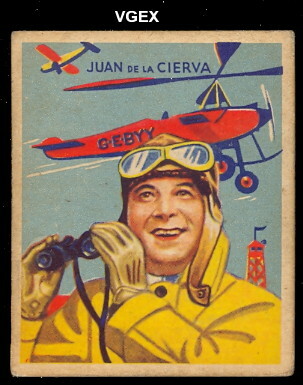 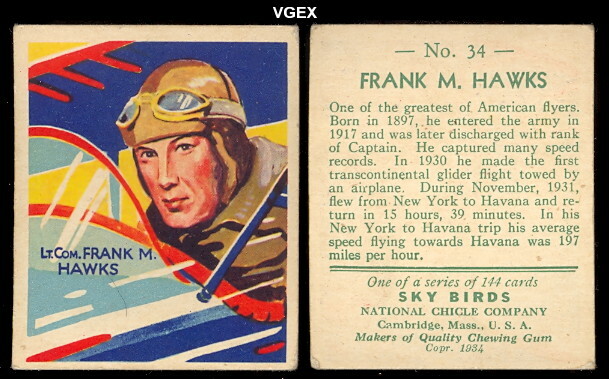 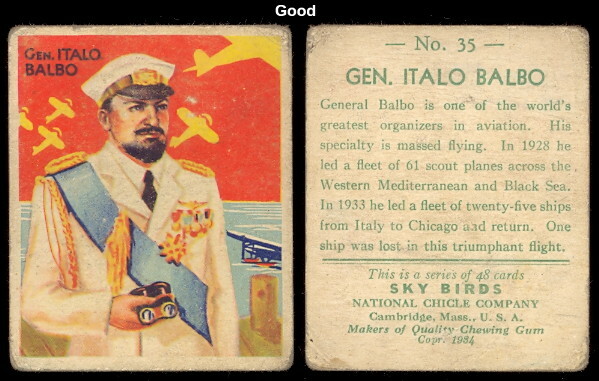 The National Chicle Sky Birds cards picture early Aviation Heroes and Aircrafts. 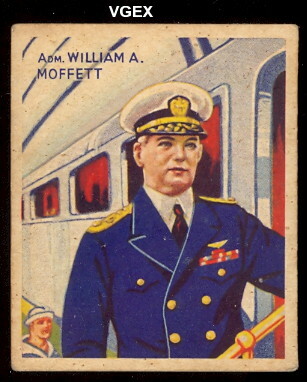 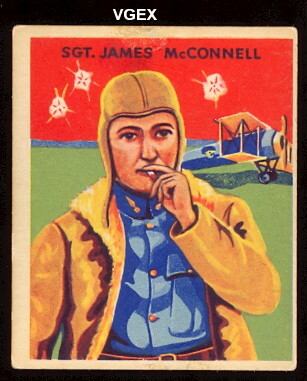 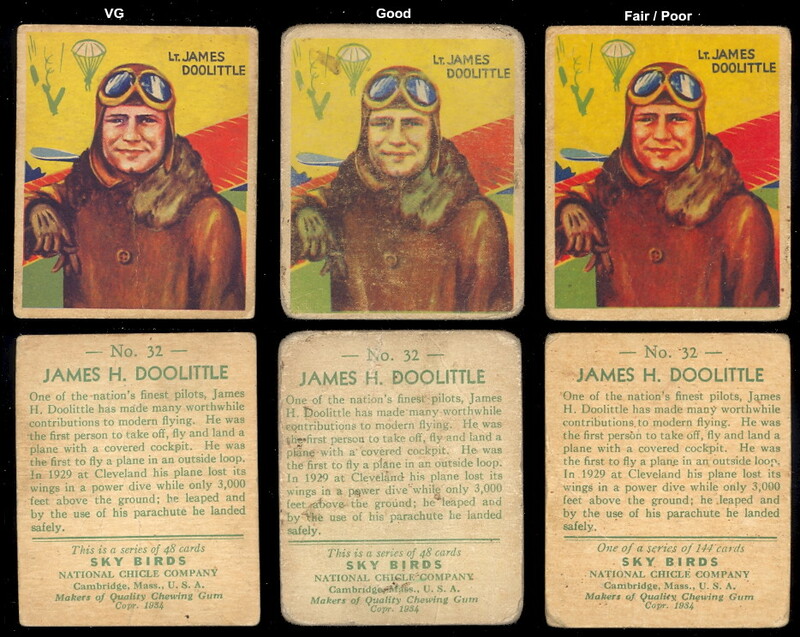 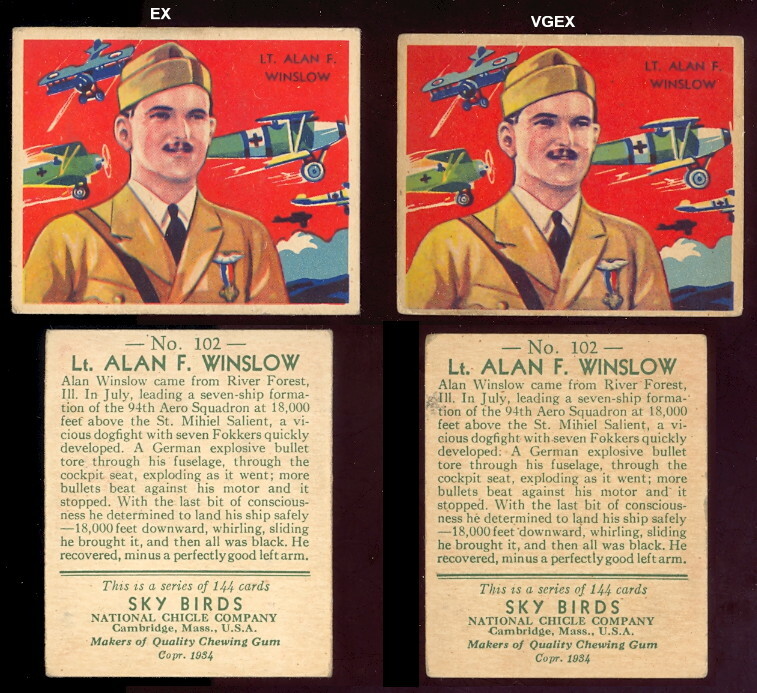 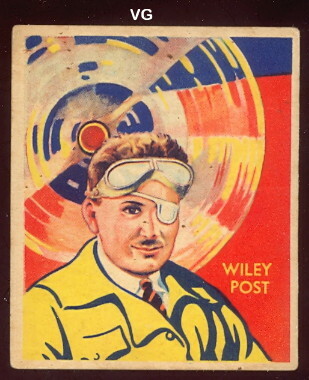 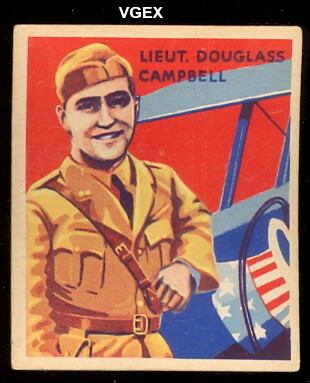 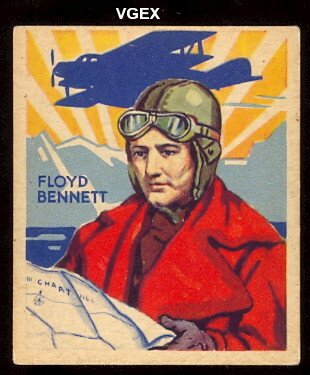 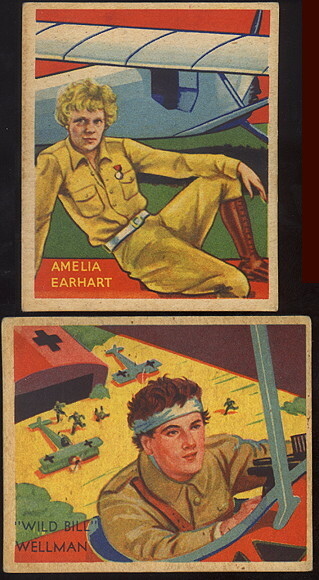 Some of the major stars included in the set are Amelia Earhart, James Doolittle, Baron Von Richthofen (The Red Baron), Wiley Post, Orville Wright, and Charles Lindbergh. 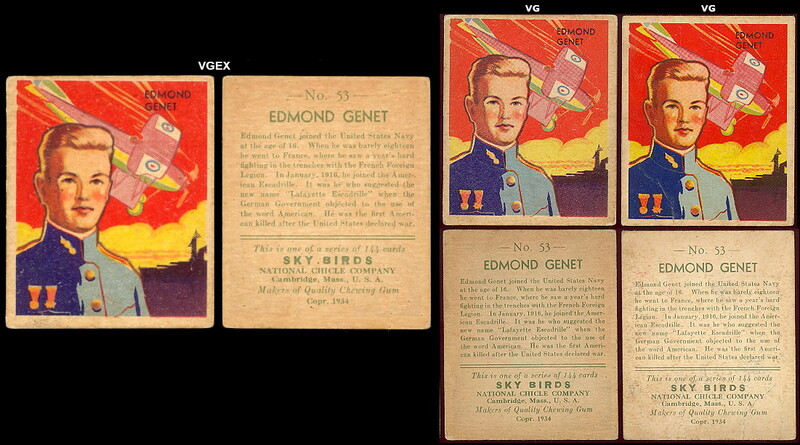 The set includes 108 cards with the higher numbered series being extremely rare!